take on the voluntary role of Head Marshall and he did a great job! Regardless of whether or not you agree on the Airline‚Äôs over booking Policy or not, no one could watch that video of the United Airlines Passenger that was forcedly and roughly removed from the airplane, without being visibly upset. The back lash was fast and furious. Thanks to all of you who completed the Autism Quiz that Carolyn shared with you. Great job Christine, from Kernels Oshawa, and Lily, from Kernels Place D’Orleans, in getting your staff engaged in this quiz. Your stores were both tops in participation! Also, congrats to Lisa Springman from St. Vital for being the first out of the gate to participate! And our random draw prize goes to Franky Malavolta, from Kernels Lime Ridge! Your PopStar Rewards are being sent off to all of you for your efforts in understanding Autism. 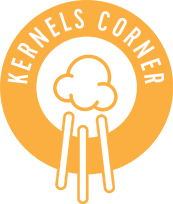 Our Kernels website has a new feature with a Live Chat button on our Home page. And who better to be our Live Person than Brian Bird, our Marketing Manager. Brian started his career at Kernels at a young age as Part-Time Staff at our Bramalea City Centre location and was promoted to Store Manager after completing his studies in Radio Broadcasting. And most recently, he has joined the Kernels Head Office Team as Marketing Manager.